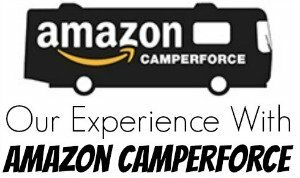 I promised to share our experience workamping with Amazon Camperforce. 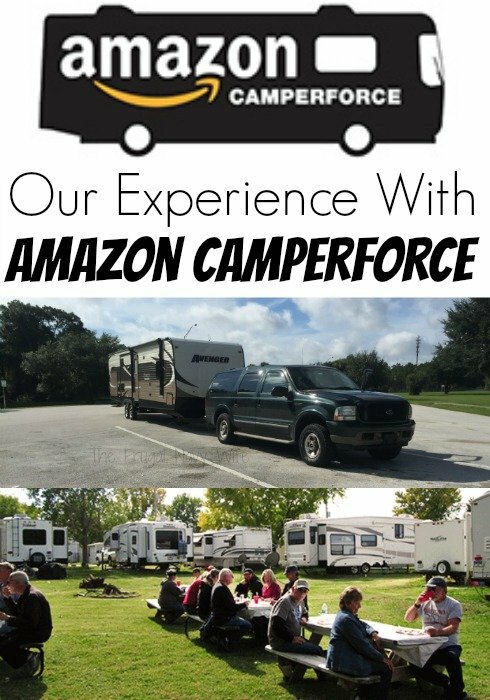 So we worked the 2015 Amazon Camperforce program in Murfreesboro, TN. This is a workcamping job and you can read more about what workcamping is. Update: We have since worked with other Amazon Programs the info is below! We filled out the application and waited about a month than we got an ‘online interview’ which was more of an information class. I had read that if you get to that point you are in. 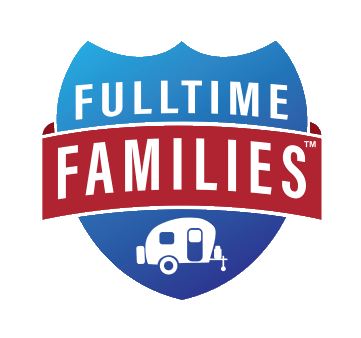 We choose the Murfreesboro, TN location and we received a list of campgrounds. 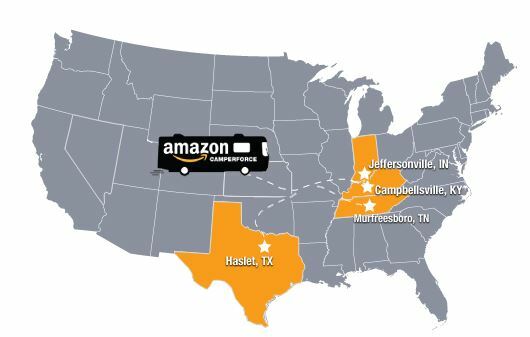 The other locations to choose from were Haslet, TX (Dallas) Which filled instantly, Campbellsville Ky, and Jeffersonville, IN. From what we can tell these are locations where they can’t hire enough help. We were told at one point they had close to 1,000 open positions during the season in the Murfreesboro location that they couldn’t fill because not enough people applied! Jobs ARE out there people! We waited so long in the season that there was only one park open, Music City Campground in La Vergne, TN. While the park was centrally located right between Nashville and Murfreesboro and right near grocery stores and dining, and walking distance to the local library, we wouldn’t recommend staying there to anyone. They have mostly long-term residents and round down campers. While we did meet Lisa from Overtly Simple, our first spot was next to a guy who would get drunk and have people over at 2 or 3 am be loud have fights etc. We complained at the office and the office staff told us that others had complained and someone had even called the cops but yet all they did was move us to another spot. That guy should have been kicked out of the park at that point. There were zero amenities and after talking to other camperforce people we found out it was indeed the worst park on the list. We placed several complaints as did others and hopefully next year it will not the be on the list. 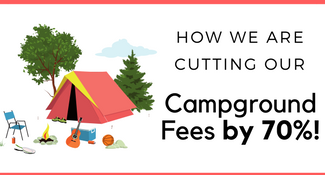 Basically, Amazon pays for your campground and any fees with it (electric etc) while you are working for them. They pay for 2 days before your start date to allow you to get settled and two days after your release date to let you pack up. We got our start date of Sept 11, 2015, a month beforehand. We got up there on the 9th and the next day we went out to explore. The first day was orientation. My husband got his schedule then. They work 10 hour days, 4 days a week. He worked Wed-Sat and if they ordered mandatory overtime he would work Tuesdays as well. He was day shift they also had night shift and a donut schedule. A donut schedule is working one or 2 days with a day off then working two more days. He was assigned to be a picker and on his feet all day. He said they also assigned packers and shippers too. They paid $10.75 an hour on top of the free campsite. Amazon Camperforce is known for its overtime options. They pay you time and a half for overtime so about $16.13 an hour for overtime. From Black Friday until your release date (which is no later than Dec 23rd) they gave us mandatory overtime where you are required to work 5 days a week, 10 hours a day. You can volunteer to work the 6th day and they had 2 options you could work all day or a half day and they offered incentives like bonus gift cards if you signed up to work. As a bonus, you also got a completion bonus with your last paycheck. If you worked until they released you then you would get a bonus of $1 for every hour worked. If you did the 60 hours of overtime from the time you got there your bonus could be over $700! My husband’s work hours were from 6 am – 4:30 pm. He had a half hour lunch. He brought his lunch with him but he said many times they had food trucks that parked in the parking lot for lunch as well. Traffic is horrible during rush hour, we were lucky that it would only take Mark 30 minute to get home in traffic. I felt sorry for those that had gotten a campground IN Nashville the two they had were right by the Grand Ole Opry and Opry Mills Mall (they were Jellystone Park and the Nashville KOA) and we were told it would take them an hour to get home or more with high traffic and it would take them forever to get in or out of their campground when a show was in town. You can not take cell phones in the building if they have a camera and you have to walk in and out of a metal detector each day. Security is high. They give you, I think it’s was, 2 medical days, my husband had 1 doctor appointment at the VA and had to bring in a Dr note and he was able to request to leave early on Halloween so he could go trick or treating with the kids. Amazon also ran many contests and offered several prizes. They gave out raffle tickets to the end of the season drawing of big items like $250 gift cards (Amazon and Visa), TVs, XBoxes and more. Our favorites were as a picker they would take an hour a day and whoever picked the most items would win a gift card, my husband would win this one several times a week. He won 2 $100 Gift cards, one $50 Gift card, a few $25, $15 and $10 gift cards too. They were mostly Visa gift cards but they also gave away Amazon gift cards as well. In any case, we ended up with 2 months of free groceries thanks to the gift cards. So Mark wore his FitBit like device to work with him. He was a picker so he was told he would be walking, on some busy days he walked 20+ miles. the most she did in one day was 23 miles. The work was easy but hard on the body. We bought him this foot insole that helped his back pain. He walked so much he went through almost 3 pairs of them! We figured he walked close to 1,000 miles while he was there. Ouch! They had several meetings letting Camperforce team members know what was going on. He met several other camperforce members who he had a great time talking with. We were paid every Friday via direct deposit and it was great to have free time to go out and explore Nashville and the surrounding areas. We didn’t save as much as we had hoped because we spend more on seeing things out in town, but we did reach our lower saving goal so that is a plus. Mark was released after his Saturday shift on December 20th and we pulled out of TN the morning of the 22nd and made it to Florida the 23rd, just in time to spend the holiday with family. Overall we would do it again we actually sent in our application for the 2016 season with our first choice being Haslet, Tx so we can see some different sites. Mark said he will not be a picker again it was too hard on his body and he pushed himself too hard to win some of the contests. We did head back to Amazon Camperforce for the 2nd season and you can read about that as well. Have you worked with the Amazon Camperforce program? What were your thoughts? Wow, had no idea you were so young. 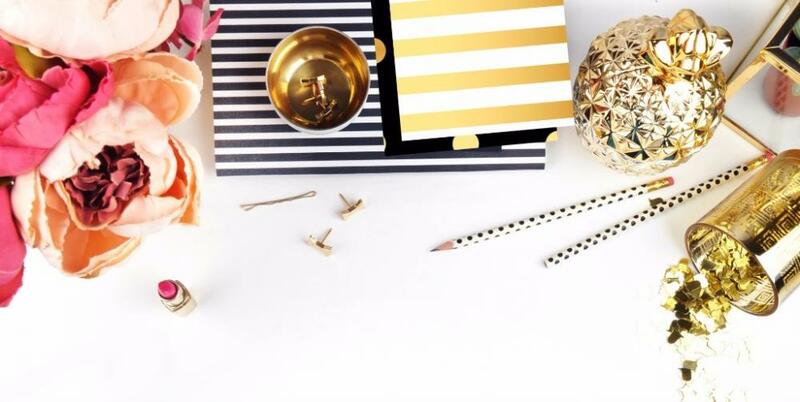 4 kids to homeschool on the road! That is a story in and of itself. Will watch for your comments on the RVillage forums and keep an eye out for you once we do get on the road full time. Yes I hope to connect! I’m assuming you need to bring your own camper. Is that correct? We are looking at doing camperforce. I’m wondering, did you say back at the site with your kids and not work? If yes, what did your days look like? That’s one of our big questions as I would stay with the kids but it’s making my husband nervous. I did stay back with the kids. While in TN the park we were at was across the street from the library so we could walk there. Mostly I stayed home (because he took the car) and we did school work and since I work from home iI worked. Days he was home we went out and saw the area. It worked for us and allowed us to see so much of the area. Which location are you looking at this year? I have a very basic question I have not seen covered. I have a hard sided aframe trailer with no shower or toilet. Is this something available at the campground? Every campground we have seen for Camperforce has had a bathhouse. I would suggest double checking when booking your campground though. My husband and I are moving into an rv this December headed for Baltimore Maryland so that hecan complete a sabbatical at Johns Hopkins. I am having the hardest time finding a place for us to reside once we arrive. Do you have any suggestions? Thank you. 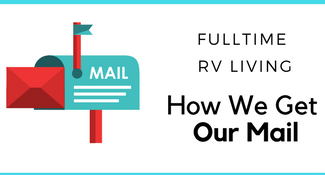 I don’t have much experience with RV parks there. From what I’ve heard I would check out Bar Harbor RV park and Marina. 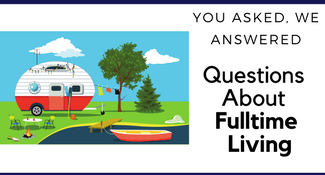 We’re gearing up to start our RV lifestyle again in a few months and the Amazon program is one that we’ve really been considering. Thank you very much for your valuable info on your Camperforce experience. You have already helped me prepare for my 1st go at it this year. If you are on Facebook there is a Camperforce Facebook group that will be really helpful as well!